Why is it so hard to incorporate new, healthy habits into our lives? Why is it even more difficult to eliminate bad ones? The problem is, we are wired to make decisions based on immediate reward. Bad habits provide this instant gratification, while the reward of good habits is based in the future. Is there a way to shift the balance and give ourselves an immediate reward for doing the right thing? Or build in a cost to making a poor choice? 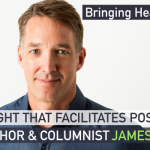 James Clear is the author of New York Times bestseller Atomic Habits: An Easy & Proven Way to Build Good Habits & Break Bad Ones and the creator of The Habits Academy, an elite training platform for building better habits in your business and personal life. His work has been featured in Entrepreneur, TIME and on CBS This Morning, among many other national media outlets. James also happens to be a talented travel photographer and accomplished weightlifter. 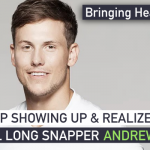 Today, James joins us to explain how results serve as a lagging indicator of the habits that preceded them. He walks us through the four stages of the Habit Loop, describing the crucial role craving plays in appreciating the individual response to a particular cue. James also discusses the elimination of bad habits, offering advice around restructuring your environment and putting space between you and temptation. Listen in for insight on aligning an immediate reward with your long-term goals and learn the best strategies to make healthy habits a part of your new normal!